Got mosquito problems? Enter NoNoSquito mosquito repellant bands. Simply open the package, put one around your wrist and enjoy the bug-free life. NoNoSquito Bands defend against mosquitoes, bees, flies, gnats, yellow jackets and all other flying insects. They can be used at anytime without the hassle of spraying toxic chemicals on your body. The best part is that they are DEET-free and use natural repellents and non-toxic oils that are safe for all ages. The bands are formulated with 100 percent natural oils made from Geraniol (15%), Lemongrass Oil (5%), Citronella Oil (2%), Polyethylene / Ultramarine Blue / Zinc Oxide / Iron Oxide (78%). 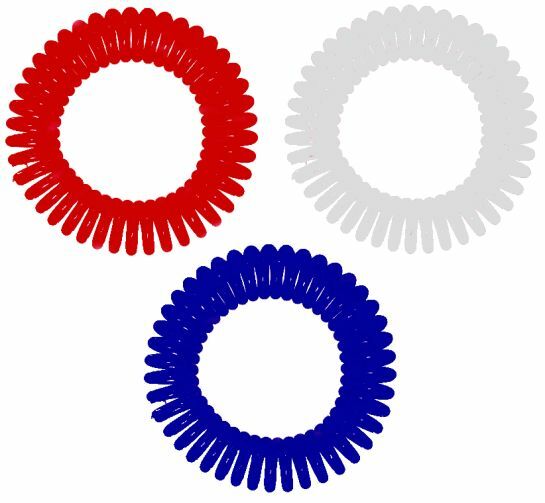 In addition, NoNoSquito Bands are waterproof, last up to 200 hours once the package is open and are available in patriotic red, white and blue colors. You can help the used bands last longer by storing them in a sealed zip lock bag when not in use. 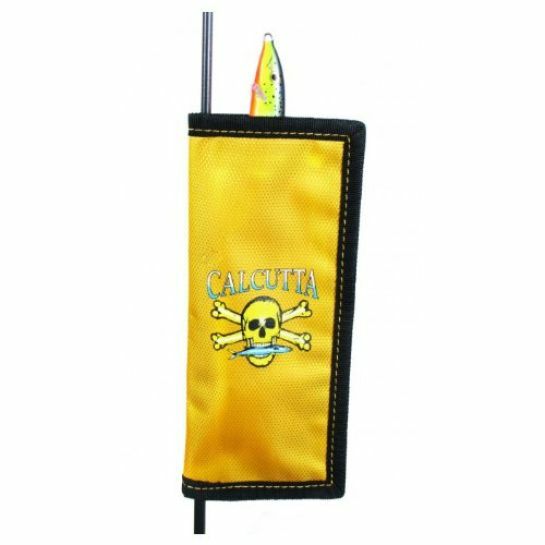 The Calcutta Lure Wrap is the smart way to secure your lure or rig to your rod when not in use. Made from durable nylon and equipped with a hook and loop closure for added versatility, the Lure Wrap keeps rods tangle-free and perfect for transportation and storage on and off the boat. Available in lengths of 4, 5 and 7 inches they safely protect all types of lures (and your cushions) and are backed by a 1-year warranty. They are great to keep on your boat, in your car, in your tackle bag and also make an excellent gift for the angler that already has everything imaginable. Pick up a couple extra because once you tried it you'll wonder why you didn't get one years ago.